Sellers specialized in marketplaces are well aware: marketplaces refuse certain ads. To publish your entire catalog, you need a rejection detection to fix the ads quickly. New with version 2: synchronization is done in the background; you can work on your shop, the module takes care of your ads! upload your products in minutes. 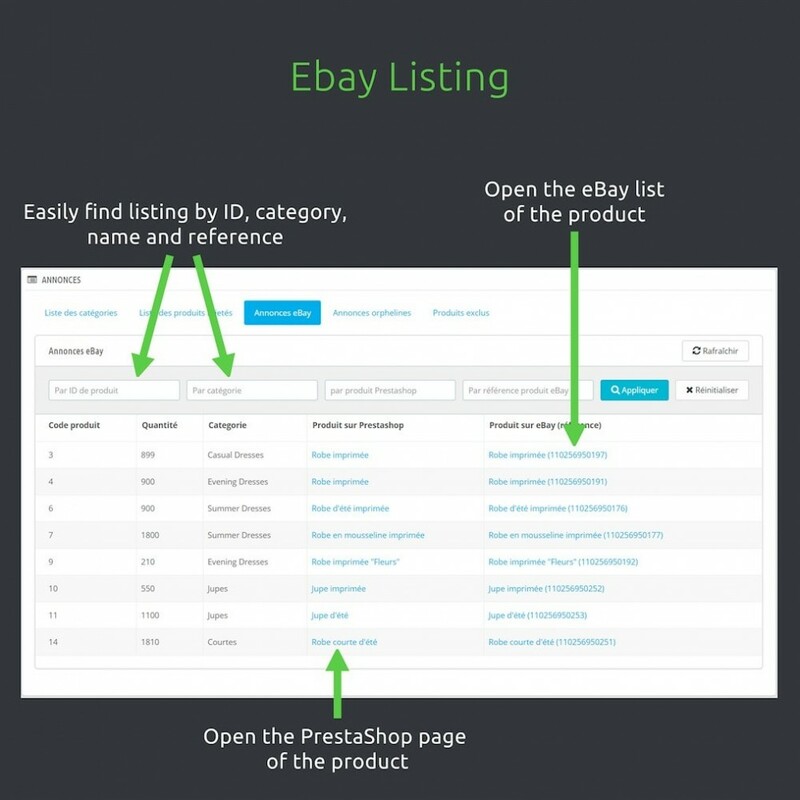 - PRODUCTS SPECIFICITIES: product characteristics, product conditions, EAN, K-Types, shipping, surcharges, etc ... eBay 2.0 Marketplace allows you an extremely fine configuration. 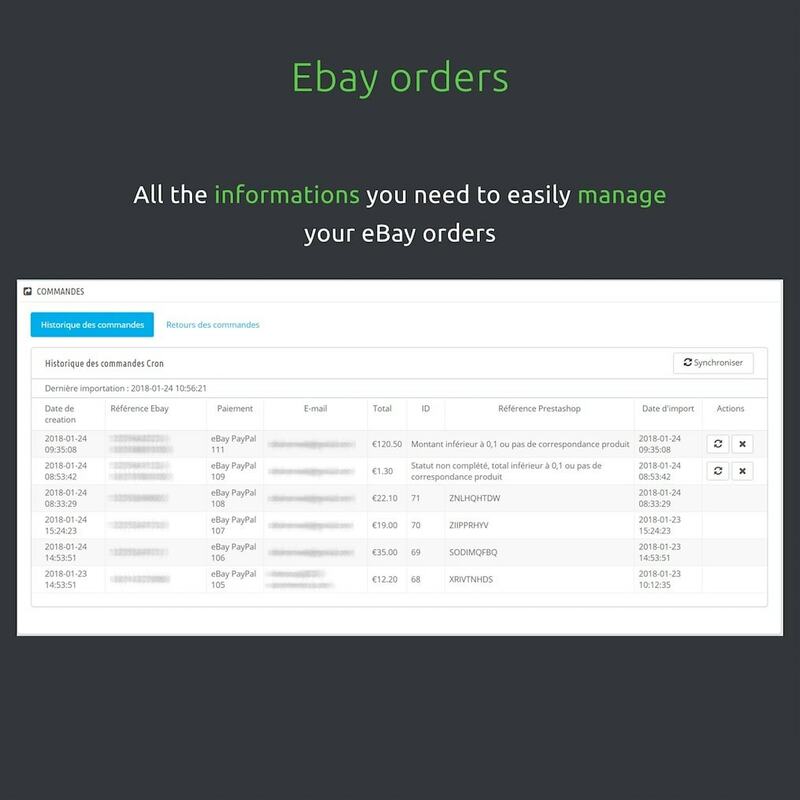 - LIST OF ALL ORDERS: our new engine lists all eBay orders, and allows to force the import order by order. 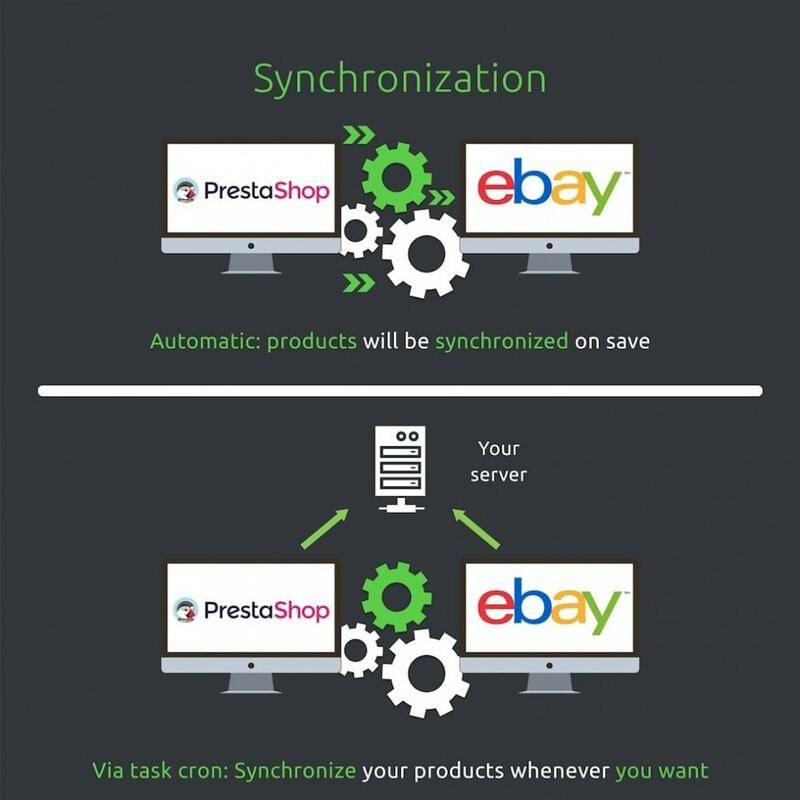 you can choose your synchronization method. 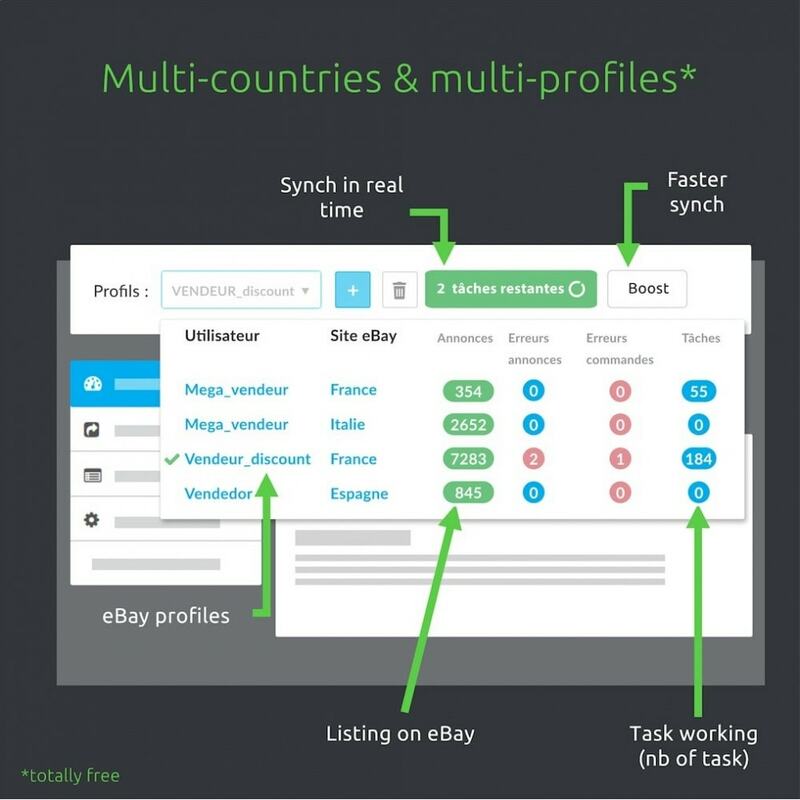 Support multi-account eBay, multi-country and multi-language, all configurations are possible, especially if you have multiple eBay accounts. 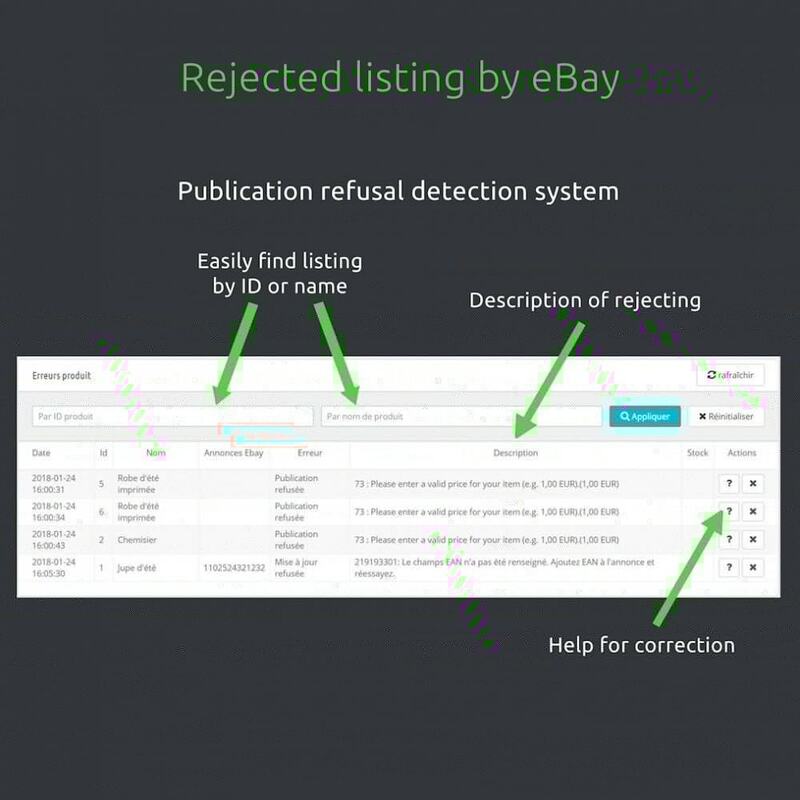 Publication refusal detection system, with help for correction. This feature is usually reserved for paid flow managers monthly. However, it is essential: the validation rules of ads evolve over time, so it is necessary to have a tool to display the publication refusals to correct them as soon as possible. The template used to post ads on eBay is completely customizable (within the limits of eBay rules), be creative and you will sell more on eBay. To use this module, you must have an Ebay account. Consider subscribing to the Zen option with the module thus guaranteeing you 1 year of support and free upgrade. 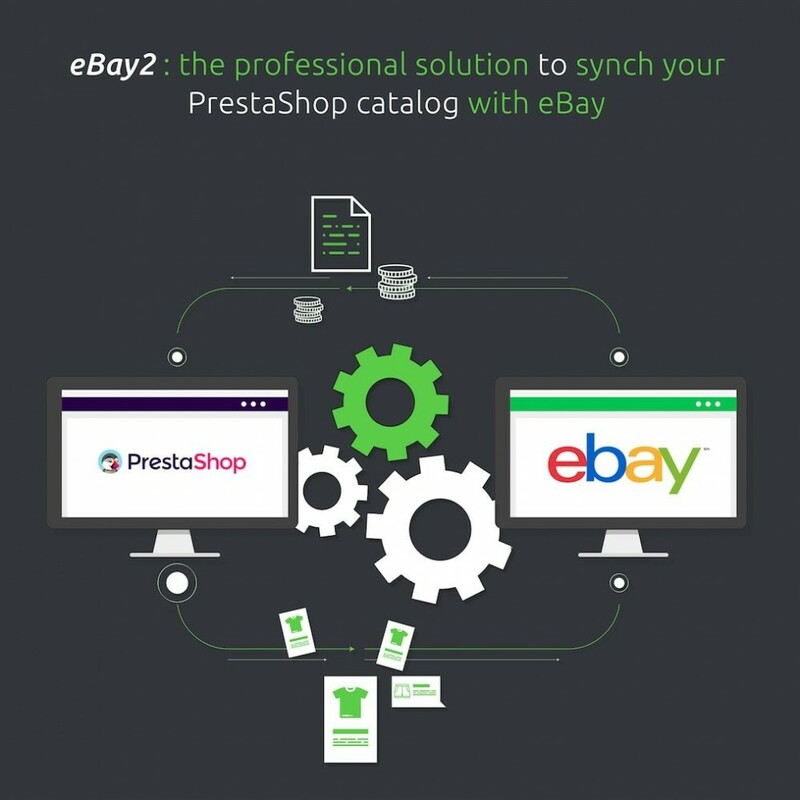 You can simply install the module on PrestaShop 1.6 and 1.7, then you need to set up your eBay seller account and your PayPal account used on eBay. Publishing a catalog on a Marketplace is a long task, so plan some time and cut out the work. 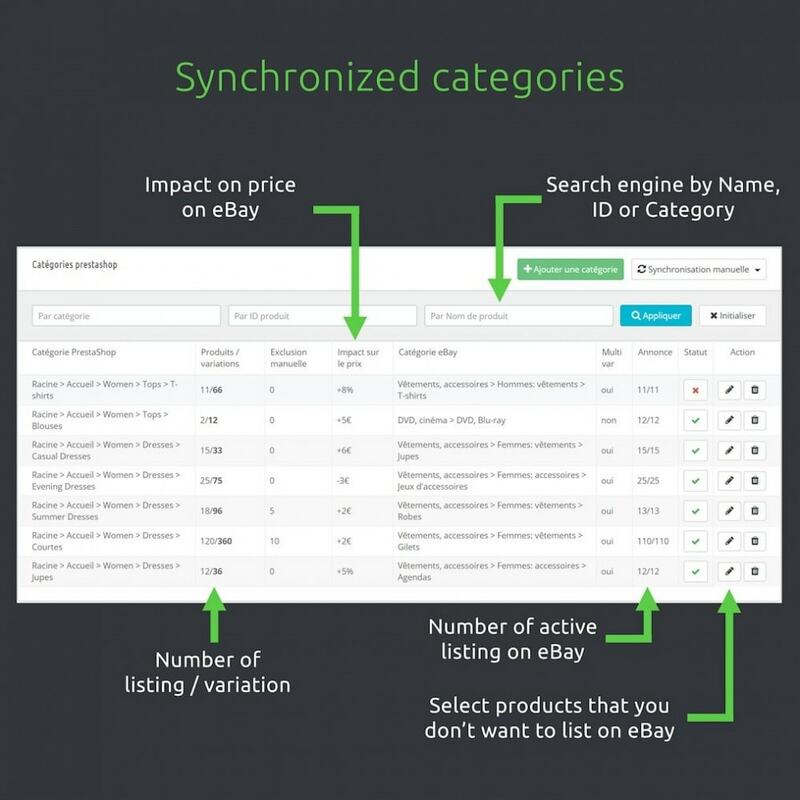 At the first set up, we suggest you to synchronize only one category with few products until all ads in that category are correct. You can later add the other categories in your catalog much more quickly.